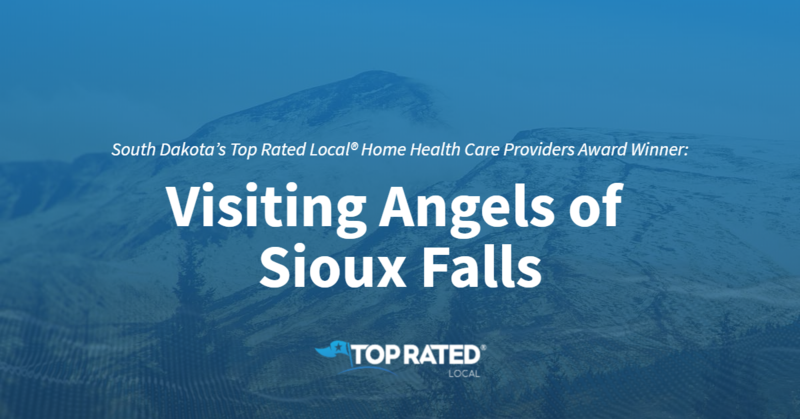 Top Rated Local® is pleased to announce that Visiting Angels of Sioux Falls is the number one home health care provider in all of South Dakota! For home health care you can rely on in Sioux Falls, there’s no better option than Visiting Angels. Visiting Angels of Sioux Falls has received multiple reviews on three verified sites with an average rating of 4.74 stars, earning them an incredible Rating Score™ of 87.35 and a 2019 Top Rated Local award for being ranked the number one home health care provider in South Dakota! “Choosing a home care provider is a huge, serious decision. After meeting with the Sioux Falls Visiting Angels folks, the decision was far easier. They do more than just ‘take care of business;’ they truly are about relationships and providing peace of mind.” – Dan F.
Travis Remme, the Executive Director and owner of Visiting Angels of Sioux Falls, generously gave us a few minutes of his time to tell us about his award-winning business and its phenomenal online reputation. The first question we had for Travis was what is it that sets Visiting Angels of Sioux Falls apart from their competition. Travis told us that they understand that their clients still have goals and dreams, and that they want to help them to keep their goals and dreams alive at home. They also do constant check-ins with the clients to make sure they are living their best life. We also wanted to know what their mission is at Visiting Angels of Sioux Falls and how they work to make the world a better place. Travis told us that their mission is to help people live their best life. They know both sides of the coin: sad, lonely elderly people who are struggling to live at home and also worried, stressed-out family members who know their [parents] are struggling to live by themselves. Outside of building a powerful online reputation, Visiting Angels of Sioux Falls has gotten their name out there through word of mouth, which is a result of their commitment to treating every interaction intentionally. Congratulations to the team at Visiting Angels of Sioux Falls for being a 2019 Top Rated Local award winner, and thank you so much, Travis, for taking the time to speak with us! We highly recommend Visiting Angels of Sioux Falls. Visit their website today! 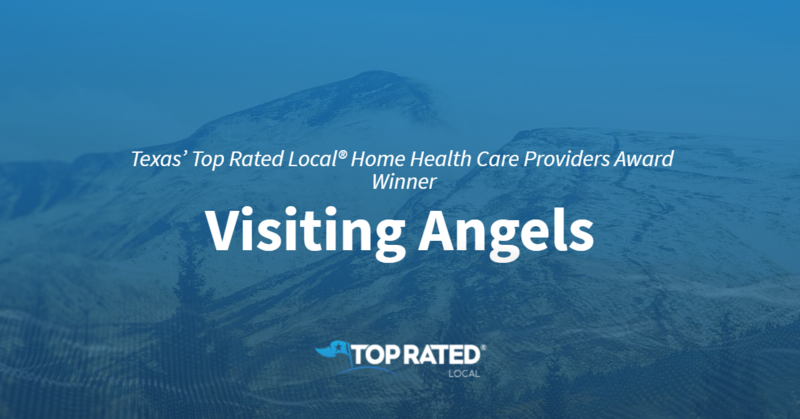 Top Rated Local® is pleased to announce that Visiting Angels is an award winner for home health care providers in 2019. If you or a loved one are seeking a reputable and caring home health care provider, we urge you to look into Visiting Angels. Visiting Angels has received many overwhelmingly positive reviews across three different verified sites with an average rating of 4.81 stars, earning them an impressive Rating Score™ of 94.10 and a 2019 Top Rated Local award for ranking as one of the top seven home health care providers in Texas! “My grandpa recently passed and I’m writing this to give praise to Leann Brooks and Visiting Angels of San Angelo. Leann oversaw the caretakers that were with my grandfather for these past few years, they were courteous, friendly and hardworking. With our family living in WI, communication would seem difficult, but that was not the case! Leann, as well as Logan and the other angels, went over the top to keep my mom in the loop. [I am] planning to move my mom down here in 20 years to be cared for by this team because they are so amazing!” – C.T. It is because of excellent reviews like this that Visiting Angels is now able to call themselves a Top Rated Local award winner! We were excited to learn all about how Visiting Angels has been able to build such an impressive reputation, so we sat down with the Director, LeAnn Brooks. Speaking with LeAnn highlighted the passion she has for her industry and for the people they serve. Visiting Angels has established a truly impressive online reputation. When we asked LeAnn about that, she let us know that most of their clients are not very tech savvy, so when they are getting good reviews online, it’s because someone had to be very impressed by their service. LeAnn went on to tell us that a part of the reason she is able to have such confidence in their service is due to the fact that Visiting Angels invests a lot of time and effort into training their caregivers. They make it a point to only hire the best. Congratulations to Visiting Angels for being a 2019 Top Rated Local award winner, and special thanks to LeAnn for taking the time to speak with us! 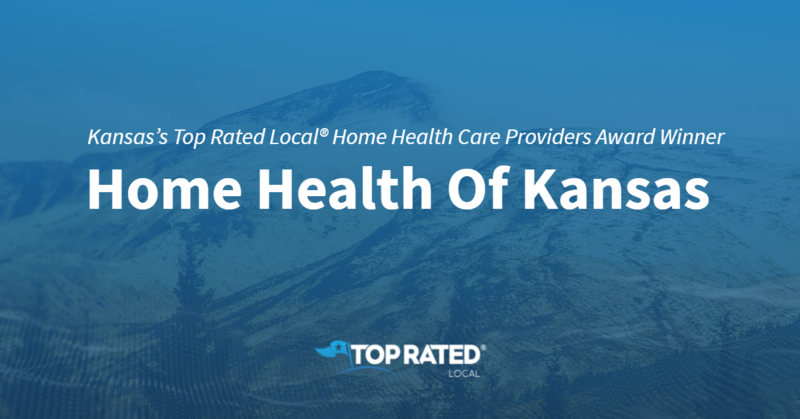 Top Rated Local® is pleased to announce that Home Health Of Kansas is an award winner for home health care providers in 2019. If you are looking for a home health care provider in Wichita, Kansas, look no further than this award-winning company! Home Health Of Kansas has received many overwhelmingly positive reviews across three different verified sites with an average rating of 4.86 stars, earning them an impressive Rating Score™ of 94.61 and a 2019 Top Rated Local award for ranking as the number one home health care provider in Kansas! “The best way to find yourself is to lose yourself in the service of others. That’s what this place stands for! It gives and gives nothing but that quality care you’re looking for! The nurses, aides, administration, and volunteers always give 100-percent. They show compassion and integrity. Not only does this company change the lives of patients, but they change the staffs’ [lives] as well.” – S.R. It is because of excellent reviews like this that Home Health Of Kansas is now able to call themselves a Top Rated Local award winner! We were excited to learn all about how Home Health Of Kansas has been able to build such an impressive reputation, so we sat down with the Chief Administrative Officer, Ann Houk. The first thing we wanted to know was what it is that makes Home Health Of Kansas stand apart from their local competitors. Ann shared with us that theirs is a locally-owned and -operated company, and is not a corporation. She was happy to let us know that all of their staff have well over 10 to 15 years of in-home hospice or home-care experience. Home Health Of Kansas is also one of the only providers to offer home health palliative programs in Wichita. While Home Health of Kansas has clearly managed to build an incredible online reputation, Ann says that it is offline where they have managed to provide the most connection and customer service. Ann tells us that in-the-field, face-to-face visits with staff and directors happen daily. It is important for them to make personal connections. As a way of fostering these connections, when clients call in, they speak with the staff that make the decisions, meaning that they never have to wait long to get a response. Congratulations to Home Health Of Kansas for being a 2019 Top Rated Local award winner, and special thanks to Ann for taking the time to speak with us! Top Rated Local® is pleased to announce that BrightStar Care is a 2019 award winner for home health care providers in Kansas! 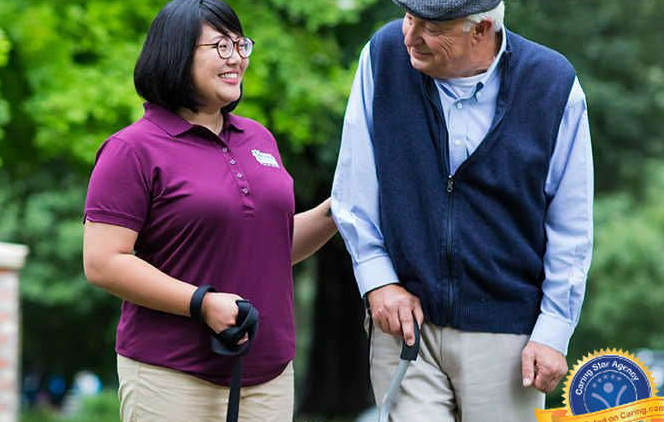 Your loved one deserve only the best care, and in Overland Park and Olathe, there’s no better home health care provider to work with than BrightStar Care. BrightStar Care has received dozens of reviews on multiple verified sites with an average rating of 90.11 stars, earning them a remarkable Rating Score™ of 90.11 and a 2019 Top Rated Local award for ranking among the top 10 home health care providers in all of Kansas! “BrightStar Care has been such a blessing to our family! They are so helpful and always take amazing care of my mother. I cannot say enough good things about all of their nurses. Her routine nurse…genuinely cares about her well-being and takes such good care of her. Their compassion is extraordinary. I HIGHLY recommend them to take care of your loved ones.” – Lauren S.
Lindsey Holmgren, the owner/operator of BrightStar Care, generously gave us a few minutes of her time to tell us a little more about her award-winning business and the incredible online reputation they’ve built. Outside of building a powerful online reputation, BrightStar Care has gotten the word out about who they are and what they do through community involvement. Jenna, the Community Affairs Director at BrightStar Care is the face of the business out in the community. Congratulations to the team at BrightStar Care for being a 2019 Top Rated Local award winner, and thank you so much, Lindsey, for taking the time to speak with us! We highly recommend BrightStar Care. Visit their website today! 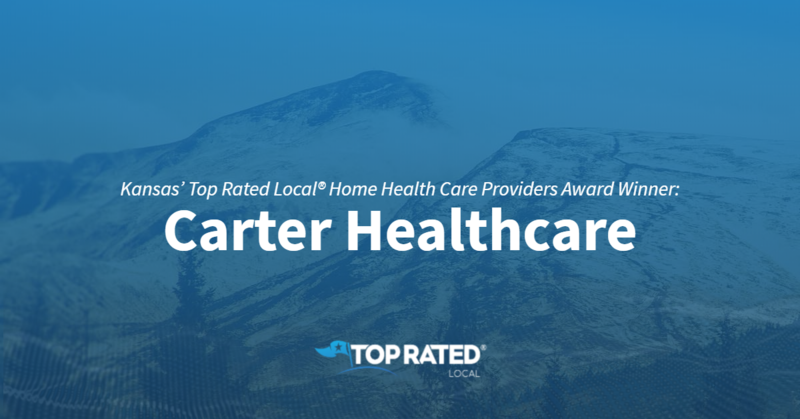 Top Rated Local® is pleased to announce that Carter Healthcare is a 2019 award winner for Home Health Care Providers in Kansas! Carter Healthcare has received hundreds of reviews on three verified sites with an average rating of 4.63 stars, earning them a fantastic Rating Score™ of 93.31 and a 2019 Top Rated Local award for ranking among the top 10 home health care providers in Kansas. 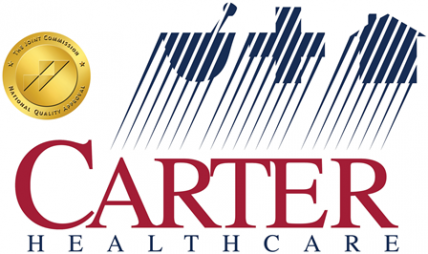 “Carter Healthcare is a leader in the home health and hospice community who consistently lives up to their motto of helping people live better lives. They employ an amazing group of caregivers from the corporate office to the field and instill a team atmosphere in all who come through the door. Carter continues to focus on allowing their patients to enjoy the independence and comfort of healing from home to achieve the very best outcomes possible in everyone they have the privilege to serve.” -Kevin H.
In order to learn a little more about Carter Healthcare, we took a few minutes to talk with the Director of Operations of this award-winning business, Jessica Hoover. The first question we had for Jessica was what sets Carter Healthcare apart from other home healthcare providers in Kansas. Jessica shared with us that they are an accredited employer. This process is rigorous, but it is a very prestigious accomplishment. They are one of the few healthcare companies in the area that is accredited. All of their offices are credited or have pending accreditation. They have been accredited in other regions for over 20 years. Congratulations to the team at Carter Healthcare for being a 2019 Top Rated Local award winner, and thank you so much, Jessica, for taking the time to speak with us! View their website here! Top Rated Local® is pleased to announce that Home Instead Senior Care is an award winner for home health care providers in 2019. If you are looking for a caring and high-quality home health care provider in Grand Rapids, Michigan, look no further than this award-winning company! Home Instead Senior Care has received many overwhelmingly positive reviews across three different verified sites with an average rating of 4.64 stars, earning them an impressive Rating Score™ of 93.40 and a 2019 Top Rated Local award for ranking as one of the top 10 home health care providers in Michigan! “We have been using Home Instead Senior Care for my father for about six months now. Their kind and professional care has allowed him to stay in his own home. It has also provided my sister and me peace of mind knowing that he’s well taken care of when we can’t be there. It took a while to find the right team of people to care for him, but Home Instead worked very hard to make sure he had the right fit. One of the benefits of using an agency is that if someone can’t make it, they find coverage right away. This has been very reassuring and helpful to us. The office staff [has been] very responsive and friendly whenever we have contacted them. They have also contacted us when their staff noticed a change in his condition. Overall, we have been very happy with our experience with Home Instead!” – Veronica L.
It is because of excellent reviews like this that Home Instead Senior Care is now able to call themselves a Top Rated Local award winner! Congratulations to Home Instead Senior Care for being a 2019 Top Rated Local award winner, and special thanks to Brad for taking the time to speak with us! 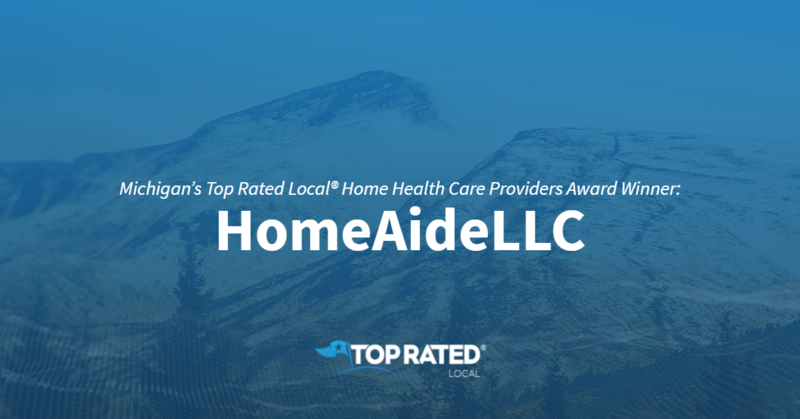 Top Rated Local® is pleased to announce that HomeAideLLC is a 2019 award winner for home health providers in Michigan! When it comes to home health in Michigan, you won’t find a better company to work with than HomeAideLLC. HomeAideLLC has received dozens of reviews with an average rating of 4.87 stars, earning them a wonderful Rating Score™ of 92.67 and a 2019 Top Rated Local award for ranking among the top 10 home health care providers in all of Michigan! “HomeAideLLC was a wonderful way for my mother to stay in her home for as long as possible. The staff was very responsive to our concerns and treated mom like family. From grocery shopping to just having a conversation, they provided for her needs in a caring and patient way. I would recommend HomeAideLLC to anyone whose family member needs a little extra help to age in place.” – Jennifer H.
In order to learn a little more about this award-winning business and its impressive online reputation, we took a few minutes to talk with Charlotte Thibault-Ballusff, Managing Member CSA at HomeAideLLC. Outside of building a powerful online reputation, repeat clients and word of mouth have been the main source of growth at HomeAideLLC. Charlotte also spreads the word about who HomeAideLLC is and what they do through public speaking and education on senior-related issues. Congratulations to the team at HomeAideLLC for being a 2019 Top Rated Local award winner, and thank you so much, Charlotte, for taking the time to speak with us! We highly recommend learning more about HomeAideLLC is you’re interested in home health care in Livonia. Visit their website today! 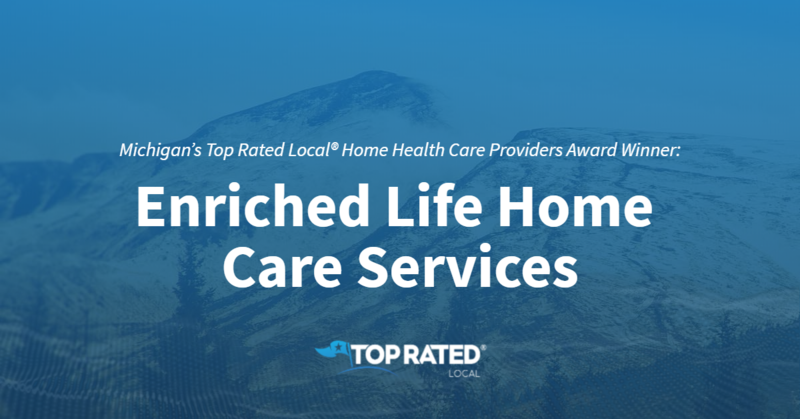 Top Rated Local® is pleased to announce that Enriched Life Home Care Services is a 2019 award winner for home health care providers in Michigan! If you’re looking for home health care for yourself or a loved one, look no further than Enriched Life Home Care Services. Enriched Life Home Care Services has received dozens of reviews on four verified sites with an average rating of 4.94 stars, earning them a spectacular Rating Score™ of 98.44 and a 2019 Top Rated Local award for being ranked the number one home health care provider in all of Michigan! “ELHCS has provided care for my mother for the past four years. The care has been so loving, and so committed to making my mom comfortable and healthy. As her abilities declined, everyone found ways to help and care for her with compassion. Jan and Lance are wonderful to work with. My mother passed away October 2. We will miss our contacts with those women who cared for Mom and made it possible for her to stay in her own home right up to the end. Thank you, Enriched Life.” – Kathy B. In order to learn a little more about this award-winning business and its impressive online reputation, we took a few minutes to talk with Lance, Senior Case Manager at Enriched Life Home Care Services. “It comes down to passion for helping others; it is more than a business. We want to help to enrich the lives of the people that we care for, and that helps to enrich our lives as well. “This year, we became a landmark of Livonia, Michigan. For the last four years, we have won the Champions Service Award for Monroe County. Lance credits Enriched Life Home Care Services’ strong online reputation to the passion they have for taking the best possible care of their residents, and he told us that they ask for reviews, but many of their reviews also come from people who elect to write them on their own. Congratulations to the team at Enriched Life Home Care Services for being a 2019 Top Rated Local award winner, and thank you so much, Lance, for taking the time to speak with us! We highly recommend Enriched Life Home Care Services. Visit their website today! 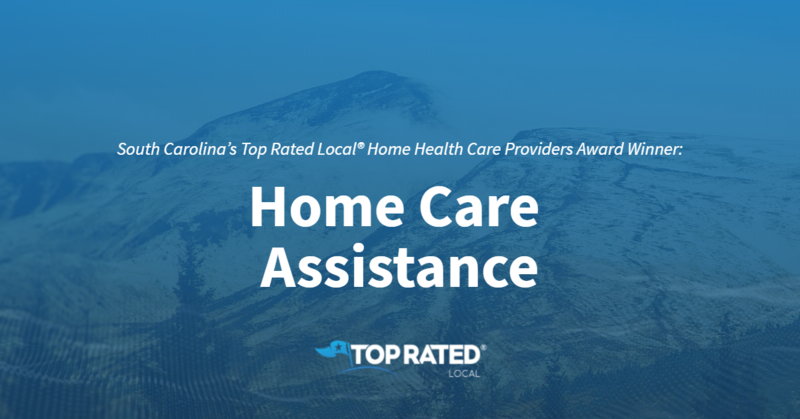 Top Rated Local® is pleased to announce that Home Care Assistance is a 2019 award winner for home health care providers in South Carolina! If you’re looking for the right home health care provider for yourself or a loved one in Greenville, look no further than Home Care Assistance. Home Care Assistance has received dozens of reviews with an average rating of 4.90 stars, earning them a phenomenal Rating Score™ of 91.00 and a 2019 Top Rated Local award for ranking among the top 10 home health care providers in South Carolina! “Home Care was a lifesaver! So glad we got the referral to them; everyone has been helpful and in tune to our needs and crazy schedule…” – Trishia K.
We wanted to learn a little more about Home Care Assistance in Greenville and the impressive online reputation they’ve built, so we took a few minutes to talk with Shawanna Gibson, Client Care Manager at Home Care Assistance. Growing a business involves more than just building an online reputation, and when asked how Home Care Assistance has gotten their name out there, Shawanna points to the referrals they get from A Place for Mom, to the word of mouth they get from happy customers and families and to the community outreach efforts by Shawanna and her partner, Gracie. Congratulations to the team at Home Care Assistance for being a 2019 Top Rated Local award winner, and thank you so much, Shawanna, for taking the time to speak with us! When it comes to home health care in Greenville, we highly recommend Home Care Assistance. Visit their website today! Top Rated Local® is pleased to announce that Elite Home Care is an award winner for home health care providers in 2019. If you are looking for a home health care provider who will show you or your loved one kindness and understanding, look no further than this award-winning company! 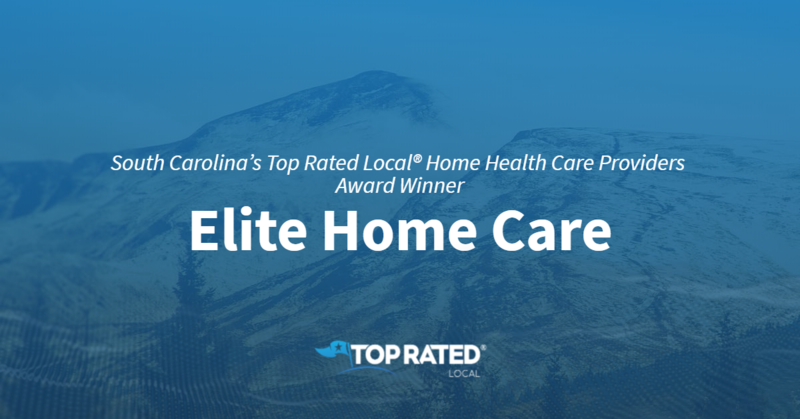 Elite Home Care has received many overwhelmingly positive reviews across a variety of verified sites with an average rating of 4.64 stars, earning them an impressive Rating Score™ of 90.35 and a 2019 Top Rated Local award for ranking in the top 10 home health care providers in South Carolina! 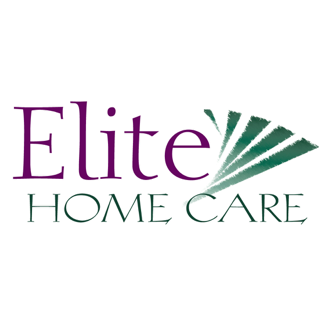 “Elite Home Care is amazing. They have the best office staff and caregivers. After the great experience I’ve had with them, I recommend that everyone thinks of Elite as an option for their loved ones.” – Isabella S.
It is because of excellent reviews like this that Elite Home Care is now able to call themselves a Top Rated Local award winner! In order to better understand Elite Home Care and how they were able to create and build such a stellar reputation, we took the time to sit down with the executive director, Victoria Spencer. The first thing we wanted to know was what makes Elite Home Care different than any other home health care provider. On that topic, Victoria mentioned the affordability of care at Elite Home Care. Congratulations to Elite Home Care for being a 2019 Top Rated Local award winner, and special thanks to Victoria Spencer for taking the time to speak with us!